In Tikebit™ we're building the technological infrastructure to bring cryptocurrencies to the street and connect the people with the biggest technological revolution of the last times. We know that big things are built working as a team and with people from any part in the globe, thats's why we're working to offer a clear API, simple and structured that allows you to create amazing things over Tikebit™. We offer a detailed and documented API, based on the open standard that is being already used by Tesla Motors as well: Blueprint. The REST APis supply a programmatic access to Tikebit™ services, giving answers based on JSON. Developers will be able to integrate the potential of Tikebit™ to their applications within minutes thanks to our SDK. You can in GitHub find a open-source version of our API coded with the most famous programming languages. Tikebit™ disposes of two separated environments. 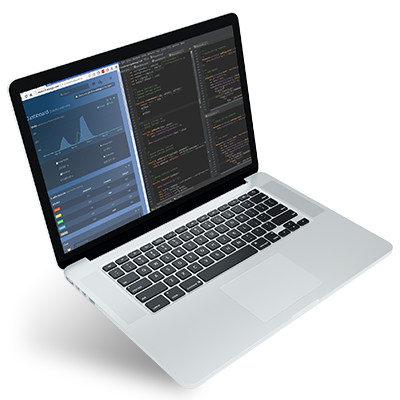 Tikebit™ Sandbox is an environment where developers can build and test their applications. Sandbox is not using real money. When you create a merchant or reseller account, you get access to this environment as well. Merchants and resellers control panel, APIs and SDK for integrations, documentation, tech support... We're focused in developing a solid infrastructure that could be used to create solutions that ease the access to cryptocurrencies. We're constantly implementing new features through a versionated API that already counts with the support from merchants and resellers. Fulfilling with the standards for an 100% RESTful API, allowing to create services and applications over HTTP. We want to ease and accelerate the development, that'ts why we're adding SDKs in the most common programming languages. We've opted for an optim combination: Basic Auth + HTTPS. A safe, simple and powerful SSL communication. We offer a useful API properly detailed, based in the open standard called Blueprint, the same that Tesla Motors are using.